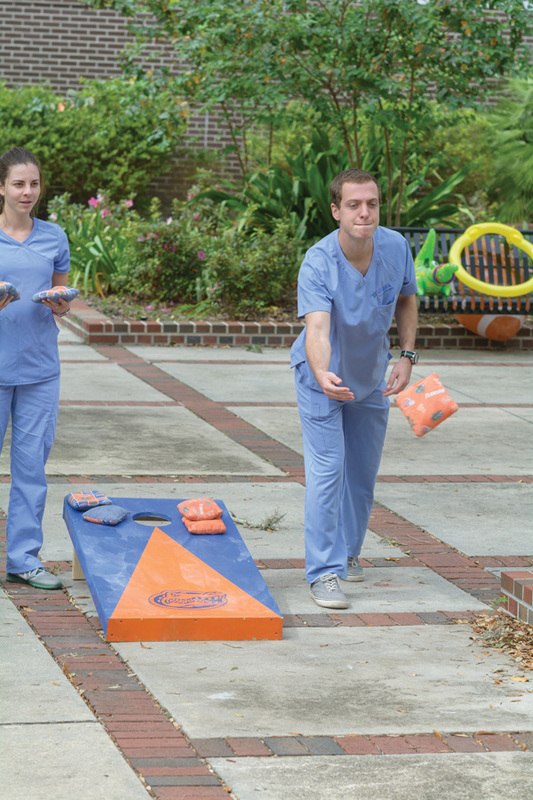 Students, faculty and staff from the UF colleges of Nursing, Pharmacy and Public Health and Health Professions took a break from classes to get some fresh air and have fun during the annual field day for the UF Campaign for Charities. 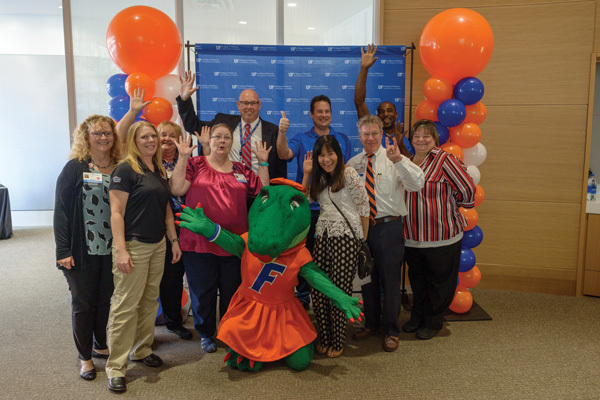 The annual UF College of Medicine Employee Anniversary Awards celebration honored those who were marking 20 or more years of service. 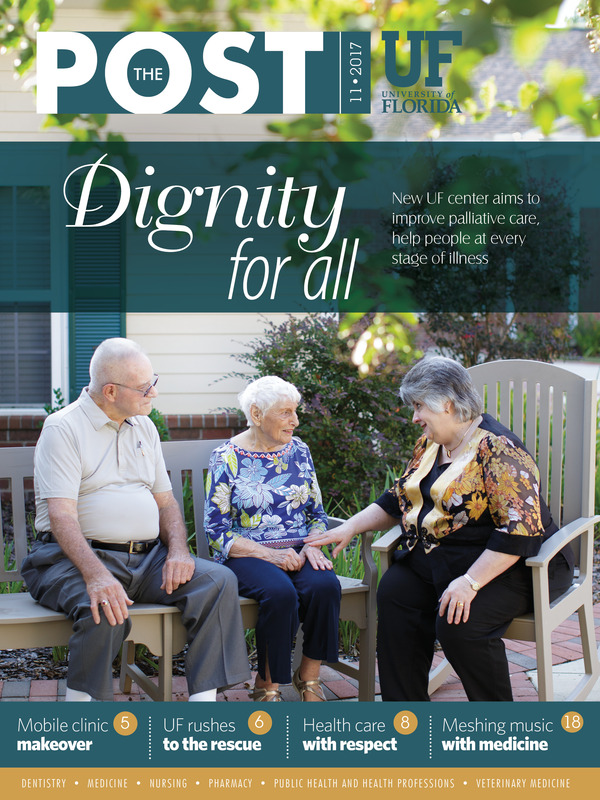 It was a prescription for exuberance among those in attendance. 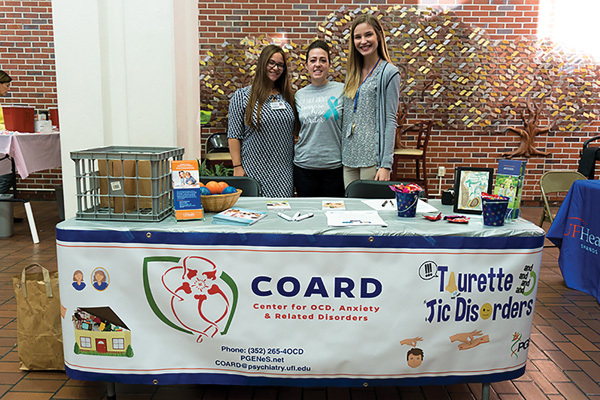 Members of the UF Center for OCD, Anxiety & Related Disorders, from left to right, research coordinators Elana Leibovitch and Robyn Nelson and research assistant Anna Martin, had an exhibit in the UF Health Shands Hospital Atrium about obsessive-compulsive disorder during Mental Health Awareness Week.